Abstract—P2P technologies have been popularly adopted for large-scale applications of content distribution, including file sharing, video on demand and live television, for its advantages in system scalability and deployment efficiency. 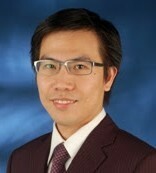 To further improve the distribution effectiveness of application-layer multicast overlay constructed by P2P technologies, in current years several types of overlay optimization approaches were proposed by focusing on different criteria such as end-to-end delay and bandwidth cost of content server. In this study, we integrate two general criteria of overlay optimization: end-to-end delay and uplink bandwidth, into single parametric criterion named adaptive scoring function. This function is designed from user’s perspective of P2P streaming application. Based on the adaptive scoring function, we propose a distributed adaptive overlay optimization approach. Compared with optimization approaches based on other criteria including tree-cost, root-delay, and uplink bandwidth, the experiment results show that the proposed approach significantly reduces end-to-end delay without sacrificing streaming quality, more feasible for P2P streaming applications based on tree-based overlay. Index Terms—Peer-to-peer streaming, tree-based overlay, end-to-end delay, overlay optimization. Cite:Ming-Hung Hsu, Tai-Hua Hsiao, and Yu-Ben Miao, "An Adaptive Approach to Optimize Tree-Based Overlay for P2P Streaming," Journal of Advances in Computer Networks vol. 1, no. 1, pp. 18-22, 2013.